Mehbooba Mufti said she welcomed the top court's decision to reinstate Alok Verma as the CBI chief. Peoples Democratic Party (PDP) president Mehbooba Mufti welcomed the Supreme Court's decision on Tuesday to reinstate Alok Verma as CBI director, saying the top court ruling had restored faith in independent institutions. "Welcome SCs decision to reinstate #AlokVerma as CBI Dir. 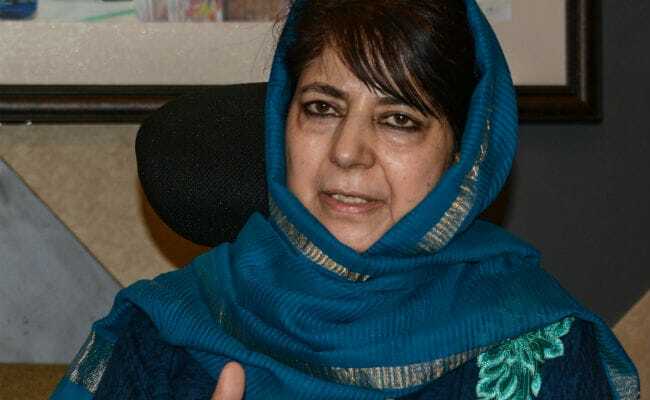 (It) reinstates belief in independent institutions of our democracy that are its pillars," Mehbooba Mufti said in a tweet. The former Jammu and Kashmir chief minister said the Centre should now stop "misusing" the investigative agencies like Central Bureau of Investigation (CBI) and National Investigation Agency (NIA) for political ends. "Time for the Central gov to stop misusing its influence to arm twist investigative agencies like (the) NIA & CBI for political vendetta," she added.